Obtaining the right towing service for your needs falls onto a number of different requirements. The right level of experience, affordability, availability and local knowledge can all play a part in choosing one of the tow trucks in California over another. 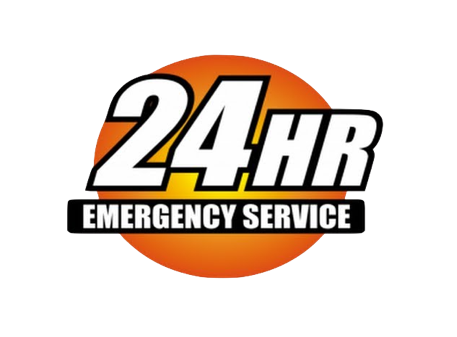 Looking for a 24-hour towing company Bakersfield locals can truly rely? If so, we have an option that fits all of those characteristics and turning to Bakersfield Towing Company will provide you with the best in the business. With years of experience in the Bakersfield area, you will find no more capable service than ours. We began by opening our doors in the Bakersfield area and since that point have been a source of quality towing, roadside assistance services and affordable Bakersfield towing prices in the city. Whether you need towing, fuel delivery or a 24-hour tire repair service, you can count on the experience and expertise that our professionals provide to the area. With just a simple phone call, you have the best towing service in the area ready and waiting to provide you with a whole host of possibilities when it comes to getting your immobile vehicle on the move once more. By providing the Bakersfield, CA area with towing services for the number of years we have, our experts have amassed a high level of local experience when it comes to understanding the city and the various needs our clients experience. We are one of the top rated tow truck companies in Bakersfield CA and our mission is to help you. ​Whether calling upon our professionals for roadside assistance or our 24-hour towing service, you can depend on immediate response from tow truck operators who know how to navigate the city. With dispersion across Bakersfield, there is always a truck nearby and ready to be dispatched to your location, providing you with the results you need no matter the circumstances. Part of being a locally owned and operated towing service in the city is in providing the best in neighborly treatment for every one of our clients. Whether it’s in the treatment over the phone, or our experts on site, you can be sure that part of the services we bring to the city include knowing that the professional at your side is there to bring you the best in local results. Many people are seeking out cheap towing service in Bakersfield CA and we warn you to be careful of companies that do not have insurance or the proper training for the job. Whether through our hassle-free and affordable towing or through the various roadside assistance services we bring to the city, you can count on friendly and approachable options through our Bakersfield Flatbed Towing Service. With 24-hour tow truck service, readily available call response, and the means to get anywhere in the city when you need someone there, our ultimate objective is to ensure that you can hit the roads of Bakersfield with the confidence of knowing that you never travel alone. This is why we're one of the best Bakersfield CA towing companies that locals have been counting on for years. Whether issues pop up spontaneously or you need a schedule towing option brought to your vehicle, making the call to Bakersfield CA Tow Truck Company will give you the feeling of a local, friendly service awaiting the chance to demonstrate why we bring the best tow trucks in California to our fellow residents of Bakersfield.